PANONO (reviewed here) remains the highest resolution commercially available all-in-one 360 camera. In July 2017, the company emerged from a bankruptcy reorganization with a new owner, Berlin-based Professional360 GmbH. We talked to VP for Sales Stefan Kissaroslaki about their future plans for PANONO and some new features for the PANONO. – rental option (1 week or 1 month) – available only in Germany, Austria and Switzerland. Now here is an interview with Professional360 GmbH VP for Sales Stefan Kissaroslaki. Can you give users an idea on why PANONO encountered financial difficulties, and what the new owners have done or will do to solve the causes of those problems? There were several reasons that led to the insolvency of the company. And I am not at liberty to go too much into details but I can say this much: Turning an idea into a technology requires a different set of skills then turning a technology into a successful commercial operation. Several thousand users of the PANONO will appreciate the hard work and effort that was put into developing and launching the PANONO camera. The new owners of PANONO have also been intrigued by the technology and the commercial potential of the PANONO camera. The new owners have a strong and solid business and financial background and have completed a thorough due diligence before submitting their offer. Production has never been an issue at PANONO with JABIL we have a very reliable partner. JABIL is one of the leading contract manufacturers in the world. 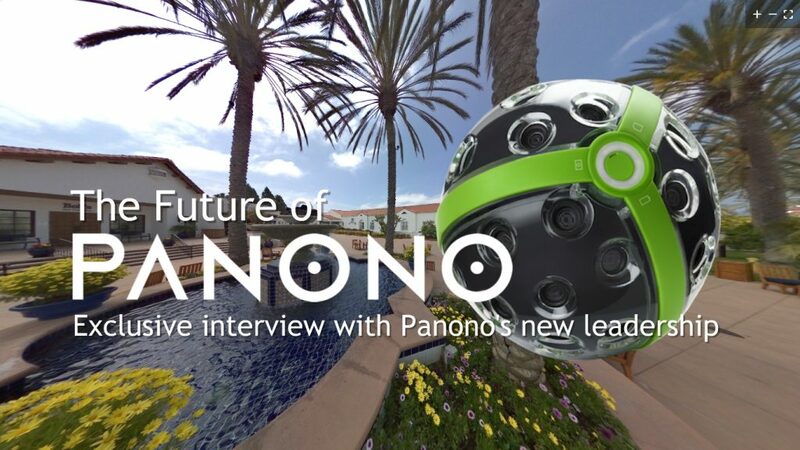 Can you share with us your thoughts on the outlook for PANONO and the 360 photography industry? Our focus remains on generating high quality and high resolution 360 images. While the next industrial revolution is much discussed in the news companies are still struggling with implementing new technologies, this is also true for 360 content. Currently we do a lot of pioneering work and we educate different industry verticals on the potential of 360 images. We have started several very promising pilot programs with large companies in various industry sectors. In these pilots, we learn a lot from our customers and many times we are required to develop new features and applications for our camera. These new features and applications will also be made available to other clients which increases the usability of the PANONO. This learning curve on both sides will last for another 12 to 18 months. After this time, we expect to have conquered a few strategic industries. To give you a few examples of relevant use cases: Documentation of construction sites has never been easier. A spherical 360 image reveals all the flaws. Insurance claim management, our side by side feature allows the estimator to be miles away and still follow the progress on the claim site. 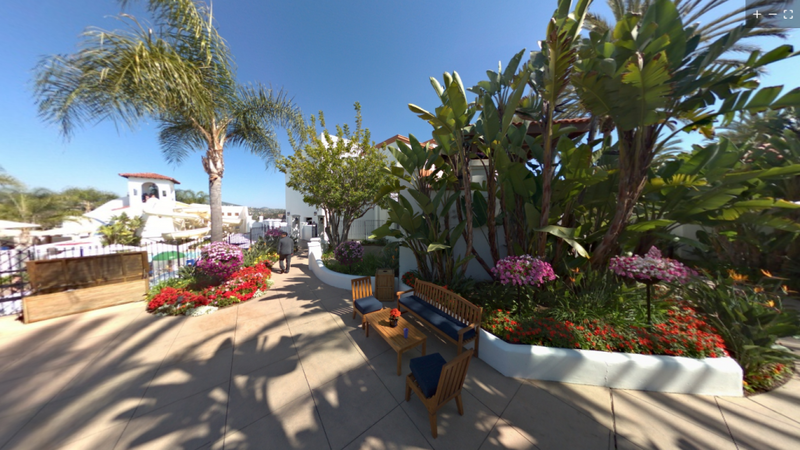 In this feature, you can upload a before and after image and rotate both 360 images simultaneous. Once the work is completed the payment approval is only a click away. Creating 360 tours of large industrial or public buildings is another interesting market. The tour can be useful for first responders in case of an emergency or the soccer fan who wants to know where his seat is in the stadium and how far the next hot dog stand is for his half time snack. The opportunities with 360 images are literary endless. In a previous report, Professional360 hinted that they would try to do something for crowdfunding backers even though it has no legal liability. Can you let us know Professional360’s current plan for the backers? Not yet. But we have had lengthy discussions with groups of our supporters as well as legal and tax advisors. As you mentioned Professional 360 GmbH has no legal obligation towards the crowdfunding backers. Nonetheless the new owner’s feel a strong moral obligation to offer the crowdfunding backers something. Unfortunately, the insolvency law in Germany is not as forgiving as the one in the USA and Professional 360 GmbH has to make sure to work within those legal boundaries. In the current market for 360 cameras, there is a lot of emphasis on 360 video but seemingly not as much emphasis on 360 photos. In particular, new cameras such as Insta360 Pro or Z Cam S1 Pro are offering higher video resolution but without a commensurate increase in photo resolution. How does Professional360 plan to address this gap in the market? We at PANONO see an increasing demand in high resolution 360 images in the B2B sector and less on the consumer side. 360 video and photo will coexist in the market there are viable application for both technologies. We at PANONO see a higher demand for still images mainly because our focus is the B2B sector. B2B Clients generally take a lot more pictures than consumer clients. To cover those costs, we are are working on an SaaS model which we will introduce later this year. Our less active users will still be able to enjoy the services as they know them today. There are rumors of a PANONO 2. What can you tell us about this new camera? Can you talk about what features it will have, when it would be released, and how much it would be? I am not at liberty to comment on rumors especially if I have not yet heard them myself. PANONO offers the 360 one shot camera with the highest resolution on the market today. This is a position we intend to keep and should the competition catch up to us I am certain we will have the right response in due time. Thank you very much to Professional360 for clarifying their future plans for PANONO. It appears that the company is in good hands and its current and future users can rest assured that they will continue to be able to take the highest resolution single-shot 360 photos. PANONO is available for purchase from B&H Photo or directly from their website. It is also available for rent.